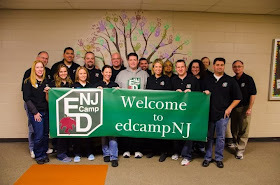 Mr. Cordery's Blog: Have You Been "Edcamped"? 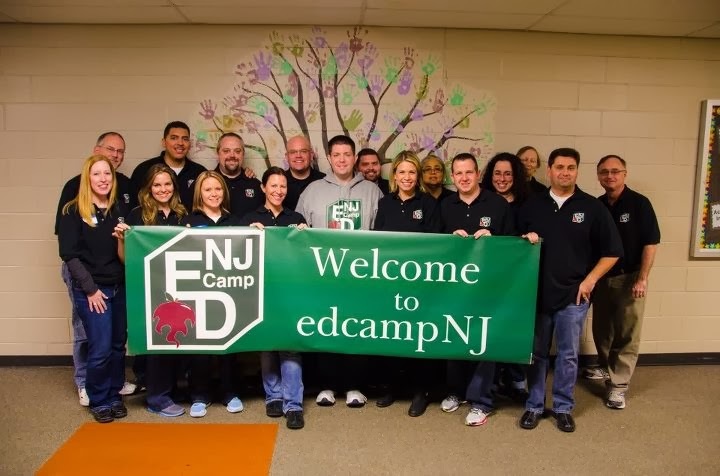 Needless to say, I arrived early to participate in the great #satchat conversation prior to EdcampNJ starting. The conversation was focused around free Professional Learning for Educators. The moderators did a great job of keeping the conversation moving along for an extremely fast-paced hour. It was during this time that I found myself "listening in" on conversations around me. I was not eavesdropping, per se, but drawn to the tone of the conversations. I could not get over the professionalism and passion that these conversations possessed. It was unlike any other workshop I had ever attended. There were educators from New York, New Jersey, Pennsylvania, Connecticut and yes, I believe Wisconsin, passionately discussing issues and I found myself listening to them more than what was going on in #satchat (sorry Billy, Brad and Scott!). I automatically felt connected to these fellow educators simply due to the enthusiasm by which they talked about their roles in education. Shortly after #satchat concluded, I had the privilege of meeting up with a Twitter friend of mine, @jsprfox. We immediately broke into a conversation about topics each of us had blogged about. We fired questions back and forth about how things were going with Standards Based Grading to preparing students for state exams. Upon reflection, this conversation came naturally with a person I had just met face to face for the first time. Why is that? Without a doubt, it was due to our prior connections through #sbgchat. We were talking as if we had been friends for years. I was officially "EdCamped". The morning was filled with more learning. I attended two great sessions on Standards Based Grading (more on this in a later post) and Flipping Lessons. I rushed to lunch to meet up with Jasper to continue our conversation from earlier. While at the table, I met up with another Twitter friend, @sstorm01. Again, the conversations we had waiting in line for lunch continued to the table was full of as much professionalism as any of the sessions I attended. The connections the three of us had through our discussions on Twitter provided us with a common ground that promoted a great conversation with two other passionate, dedicated educators. That is the best way I can describe "Being Edcamped". You quickly get wrapped up in an environment that promotes professionalism and passion about education. You can not help yourself but leave completely rejuvenated after spending 8 hours with enthusiastic educators. I really do think Edcamp is what Jimi Hendrix had in mind when he asked the question, "Are You Experienced?" I can not wait until next year.